My Jenny Skirt went live on BurdaStyle yesterday, so I can finally post more pictures of it. Check out my article over on the BurdaStyle blog. If you’ve already read what I wrote over there, no need to read on. Otherwise, here’s the article that I wrote for them about the skirt. The makings of this story include a yard of wool blended with just enough lycra to give it softness, body, and depth; a classic, high-waisted pencil skirt pattern; a collaboration between two of the sewing industry’s biggest names and one sewing enthusiast; and a bit of suspense for good measure. It’s still hard for me to believe that this story is a true story. My story. It began early in July when I was contacted by BurdaStyle and asked if I would like to be a part of their BurdaStyle x Britex Fabrics collaborative project. Would I? Of course! I enjoyed reading about Natasha’s project for the collaboration last month, and I couldn’t wait to get started on my own. Only waiting is all I could do at the time. I was out of town at a work conference, and I wasn’t going to be back in the Bay Area for over a week. When I got back from the conference, my mind started whirling with all of the possibilities that could be made by combining a world leader in sewing patterns with four floors of exquisite fabrics. To be honest, it was a little overwhelming. Thankfully, Britex Fabrics narrowed it down for me by suggesting I choose a light- or mid-weight wool. The number of fabrics I had to choose from was still large but now a manageable large. Knowing that I wanted to make a summer garment in a lighter-weight wool before the end of the month (which amounted to just a few hours of sewing time thanks to my incredibly busy schedule at work these days) helped me narrow my pattern selection quite a bit. I quickly settled on a skirt of some sort, and then I narrowed my choice down to the Jenny Basic Skirt soon there after. The marvels of the internet meant that I had the pattern immediately (thanks BurdaStyle!). Getting the fabric took a little bit more time because it required a trip to Britex Fabrics itself. Time was of the essence, but my work schedule prevented me from getting to the store until the 19th – leaving me with only a little over a week to make the skirt. The lovely people at Britex Fabrics showed me quite a few samples based on the fabrics that I’d seen and liked online, and we settled on the Italian Dusty Rose Lightweight Stretch Wool Blend (thanks Britex!). With everything now on hand, all that was left was for me to make the skirt. Could I pull it off in less than ten days? Oh! The suspense! Thankfully, careful choice of fabric and pattern meant the skirt came together easily. The fabric was a dream to cut and sew. The straightforward construction of the skirt meant I could spend most of my sewing time crafting a few extras for the skirt like a structured waistband and a hand stitched hem, not lost in matching endless seam after endless seam. The front and back of the waistband facing during construction. A structured waistband is not an essential part of the pattern, but I think it adds a lot of elegance to this highwaisted skirt. Marina von Koenig, BurdaStyle’s expert in all things couture, recently wrote about her experiences making a structured waistband for a high waisted skirt. What I’ve done here is very similar. My waistband is essentially a sandwich of Rigilene, a plastic boning found in many sewing shops. The bottom layer of the sandwich, the facing, is made up of a layer of the fashion fabric, a layer of silk organza, and a layer of horsehair canvas – all quilted together. 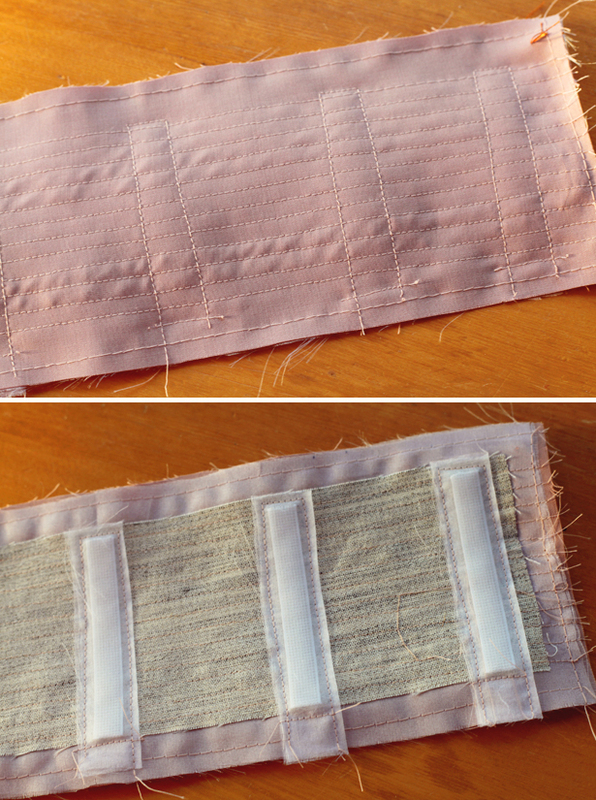 On top of this layer are silk organza channels into which the Rigilene strips are threaded. The top layer of the sandwich, which becomes the outside of the waistband, is made up of a layer of the fashion fabric and a layer of cotton flannel interfacing. The flannel helps give the waistband a smooth look from the exterior. The two halves are stitched together along the top and then the seams are graded and understitched so that everything looks lovely and stays put. The smooth waistband exterior conceals the structured facing. A bit of lace adds fun to the hem and slit interior. The pattern calls for a slit in the back, but I briefly toyed with the idea of adding a back vent at first. In the end I decided to keep the slit but to jazz it up with a bit of lace on the inside. The interior of the slit. I also hand stitched an eye from a hook and eye set to the top of the slit. This little piece of metal should reinforce the slit as it gets stressed during wear. To make sure the eye had staying power, I doubled my thread, ran it through a bit of beeswax, set the wax with heat, and then stitched the eye on with tiny little knots. The book in which I found this trick used a bar, not an eye, but I didn’t have any on hand. Time will tell if the eye functions just as well as a bar would have. I hope so since I really like its lucky horseshoe shape! My husband and I took the skirt out for a test shoot the day before I headed back to Britex for their photo shoot. I was nervous about modeling for someone other than my husband or my tripod, but it turns out I had nothing to worry about. The Britex staff was beyond lovely and put me at ease as we headed to Chinatown for a few quick photos. I was so comfortable that when a bystander exclaimed loudly to her friend, “Oh! She’s a model! It’s a photoshoot!”, I just laughed and smiled all the wider. Now that the completed skirt is proudly on display at Britex, my story must come to an end. But, I have a good feeling that this skirt and I will live happily ever after. Beautiful skirt! I love the color! Fantastic work. That waistband looks like a work of art and I must say, the colour suits so so well. Beautiful! Very elegant and feminine skirt! It looks so simple from the outside.. before you show the photos of the waistband support and the slit detail! What fun! And I learned a couple of techniques from your article, so thanks! Thank you so much for the fantastic construction photos! Congrats on a wonderful skirt. Lovely and congratulations on your showcase. You’re an inspiration! Out of all the things you have made, I like this one the best. Seriously. The garment is super simple but the time you spent on it (the structured waistband – thanks for the photos) is what I love to read about. Those are the type of seamstresses I love. I’m working on a project right now that requires quilting so I totally understand the extra time it takes. I’m super impressed that you finished it in 10 days and didn’t cheat! You rock! Gorgeous and svelte! I love high waists and it’s so nice to see all that waistband detailing. I’m glad they picked you for a collaboration… Britex is my dream fabric world. Yay congratulations-went and checked it out on Burda as well! Did you pre-wash the horsehair to pre-shrink before sewing or will this skirt be dry clean only? 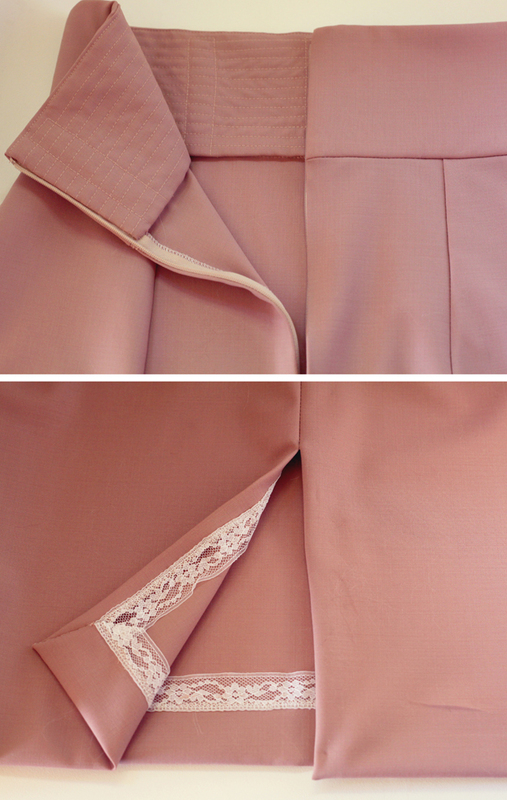 I think this may be the most beautiful thing you’ve made…I am in awe of the structured waistband! Thanks for sharing the construction of it; I’ll have to keep it in mind for the future! Out of curiosity, is the waistband just a rectangle, or is there some shaping to it? This looks beautiful! The color is gorgeous, and the fit is superb! I love hearing about your construction techniques– I’m always mega-impressed! What a beautiful skirt, with a beautiful skirt to match! 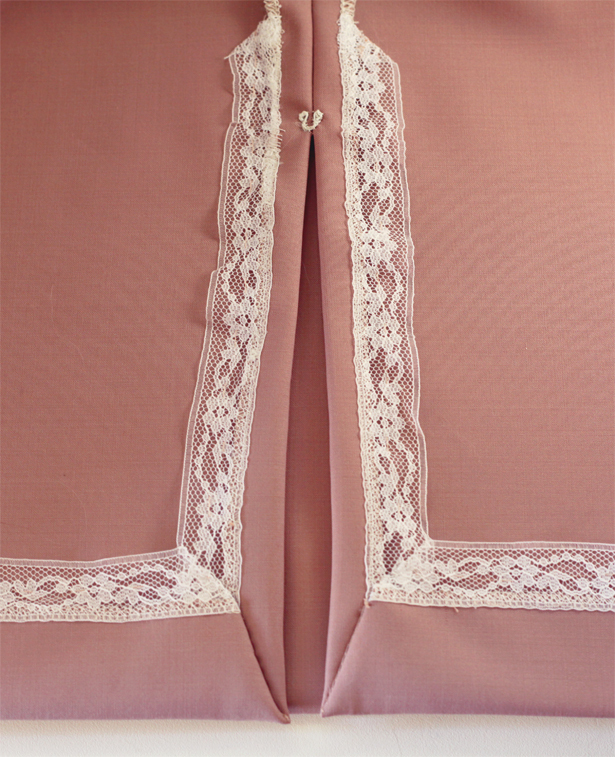 I love the details – the structured waistband, the eye sewn into the top of the slit, the lace. 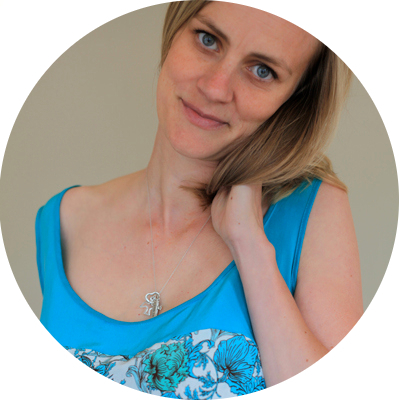 One of my favourite sewing activities is to take a relatively simple make and just do the very best you can with it. This is gorgeous. And how sweet to read about China town, knowing I was there earlier in the year. I hope you’re well, my friend! This is such a beautifully made skirt. I love all the care and attention to detail you put into making this. Thank you for explaining how you reinforced the waistband. I have made the Jenny skirt and now wish that I had done that to it as it would definitely make a big difference to the fit and overall look! Perhaps next time. I have fabric for two pencil skirts in my UFO pile, but I was still searching for the right pattern…until now! This is PERFECTION! And I’m dying to try that structured waistband – such a clean look and it would be the perfect introduction to boning, which I’m also excited to try. AH! Inspiration is running rampant right now! Thank you!